Never not seeking out a place with a view - and this one from my recent vacation home to Virginia was simply the best way to officially welcome spring. Taken at a restaurant in the Kingsmill Resort in Williamsburg, VA, I simply could not resist taking about 1,267 pictures (narrowing it down to 3 was almost cruel and inhumane). The temps were warm but with a refreshing breeze, so my J. 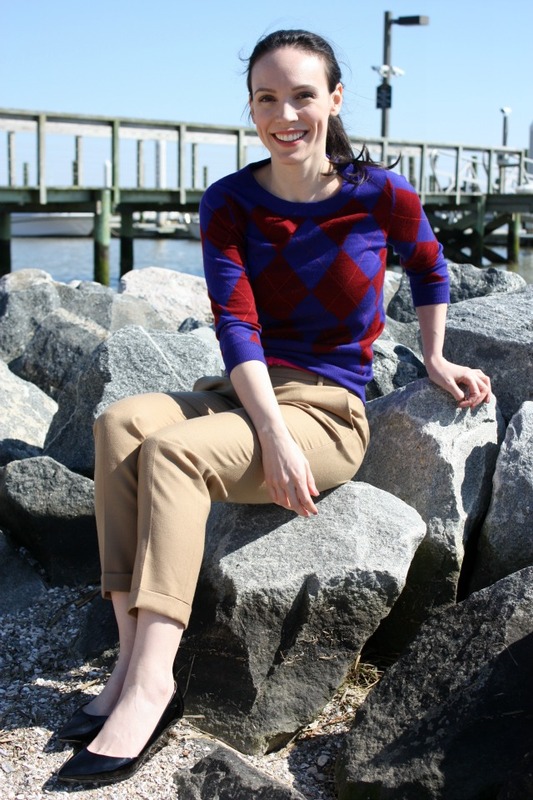 Crew wool cafe capris and Tippi sweater were perfect choices for spring's introduction. 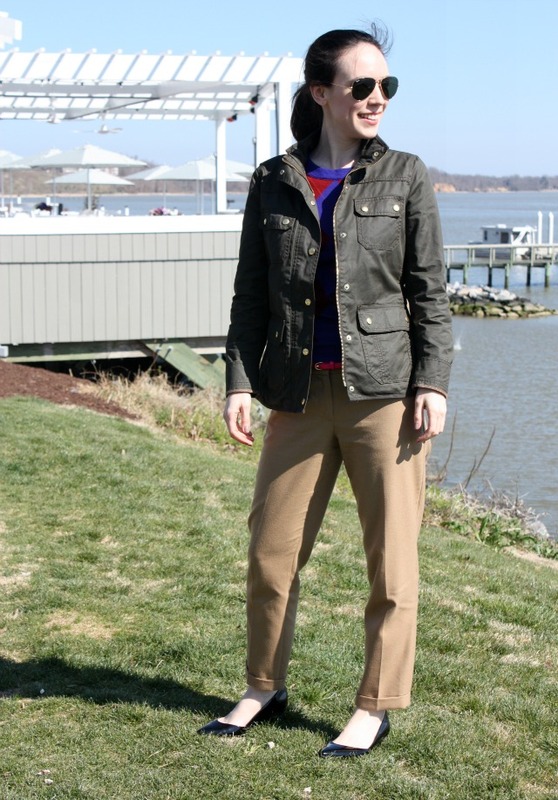 And then my trusty field jacket is just about the only jacket I wear once the puffer coats go into hibernation. But with a view like this, I will not fault you for having to give extra attention to notice my outfit. This is your one free pass.